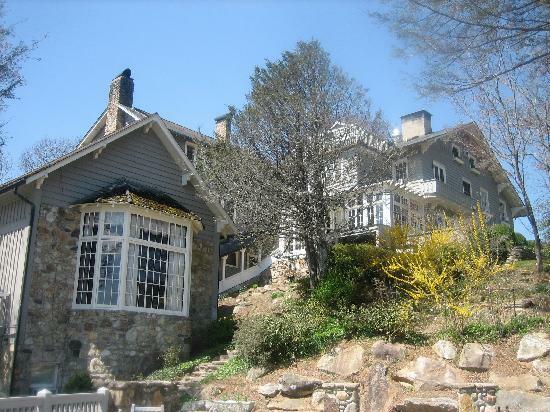 Lake Toxaway NC Real Estate for sale. Homes for sale. Land for sale. Lake Toxaway covers 640 acres, offers 14 miles of shoreline, and is a premier resort destination offering vacation rentals and second homes in several unique communities. 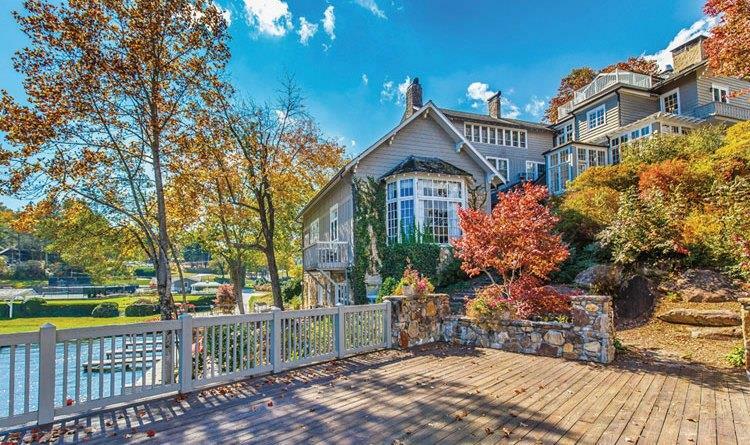 Features include the state's largest private lake, a country club, golf and tennis, great hiking and fishing and homes and home sites on the lake, on the golf course, or on the mountain with dramatic mountain vistas. Since 1903 when the Fords, Edisons, and Rockefellers came by private railroad car, Lake Toxaway is a place where families have been drawn to the mountain vistas and the lake’s crystal clear waters. Today in Toxaway, families share 5,000 acres of some of the best living Western North Carolina has to offer, twelve months a year. Lake Toxaway is about 30 minutes from Highlands, Cashiers and Brevard, and an easy drive from Asheville, Atlanta and Greenville, SC. Most of the residents in the area treat Lake Toxaway as a second home for vacationing during the summer months. Lake Toxaway is a place where the best of the Blue Ridge Mountains is on display year round. Situated at 3,014 feet above sea level, Lake Toxaway offers 14 miles of shoreline, mild year round temperatures, beautiful natural settings and a wealth of opportunities for water-themed activities. Providing the best of both worlds by combining amazing views of the mountains and lakefront living, it is now home to some of the area’s most sought after and imaginative communities with resort-quality amenities. Real estate for sale includes luxury mountain homes, lake homes, golf course home and land and acreage. The lake and developments such as Bear Wallow Springs, Catatoga, Lake Toxaway Estates and Toxaway Views continue to draw visitors to this unique corner of the world year after year. The award winning Greystone Inn is situated adjacent to the Lake Toxaway Country Club. The romantic and tranquil setting offers a spa, guided hikes on adventurous trails ranging from intermediate to advanced, complimentary golf certain months, a daily champagne cruise, mid-afternoon tea served with refreshments on the sun porch with a warm, friendly, and personable service. The Sothys Spa offers an array of treatments for stress and tension relief and simple pampering. A fitness center, croquet, tennis, golf and the swimming pool round out the activities available at the country club. With all the diversions of spectacularly beautiful Lake Toxaway at its doorstep, this intimate, historic (National Register), resort inn combines the lure of its panoramic mountain setting with comfort of modern luxuries and an exceptional cuisine. The Inn was originally the home of Lucy Moltz, who came to Toxaway and built a mansion on the lake and was only able to enjoy her lakeside home for one year before the dam broke. Built in 1915 and carefully restored in 1985, Lucy Moltz’s home is listed on the National Register of Historic Places. In her lifetime she witnessed the failure of the lake and then the rebuilding many years later. 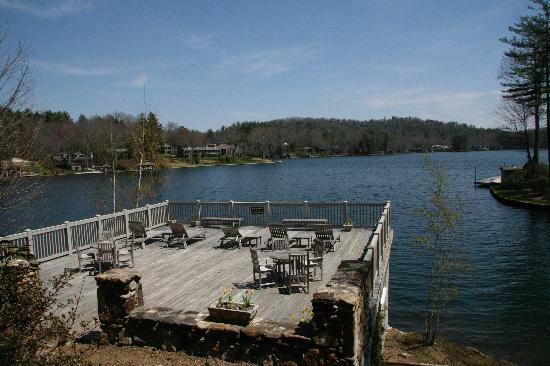 Today, the lake is in use by the families who live within the Lake Toxaway Estates. 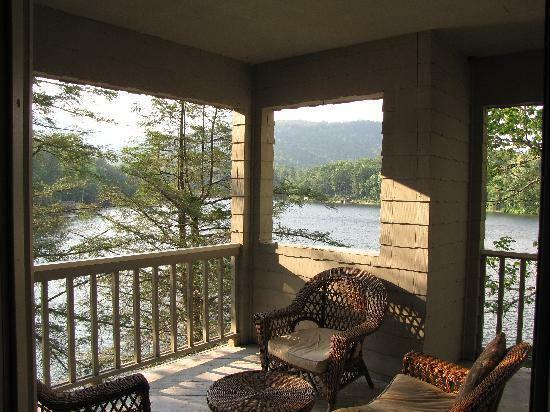 Lake Toxaway is truly a place where you can live where you play. Let me help you find your ideal year round or part-time home in one of the best places to live in the U.S. Email Me or call me at 828-553-7317.